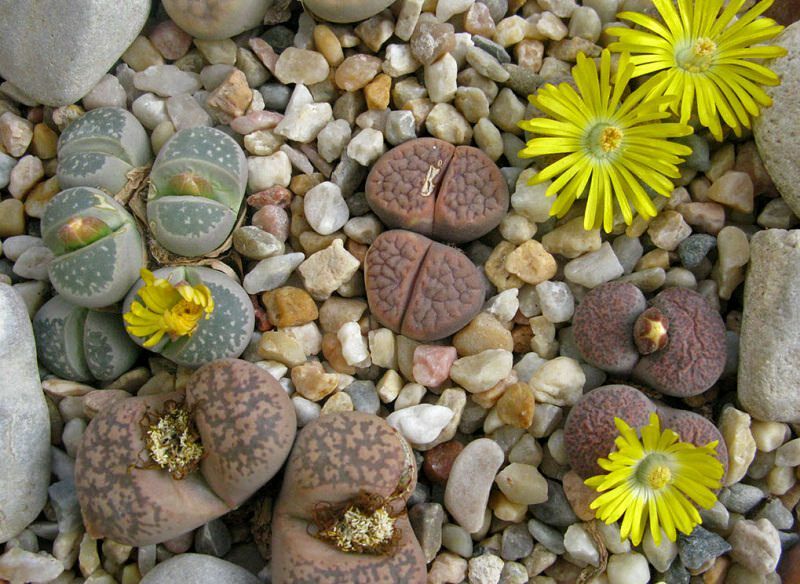 Learn how to grow Lithops in this article. Lithops are small and inconspicuous plants that look like stones or pebbles. Growing Lithops and Lithops care is not difficult. Lithops are the plants that originated in South Africa and Namibia. They are called “living stones” as they closely resemble the rocks that surround them so that animals don’t eat them. 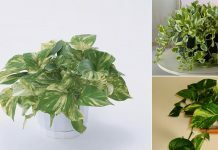 They are ideal for growing indoors as the houseplant. Living in extremely adverse conditions, they adapted to them, developing the ability to store large amounts of water in their low and distended leaves and in sprouting pairs of short underground stems. 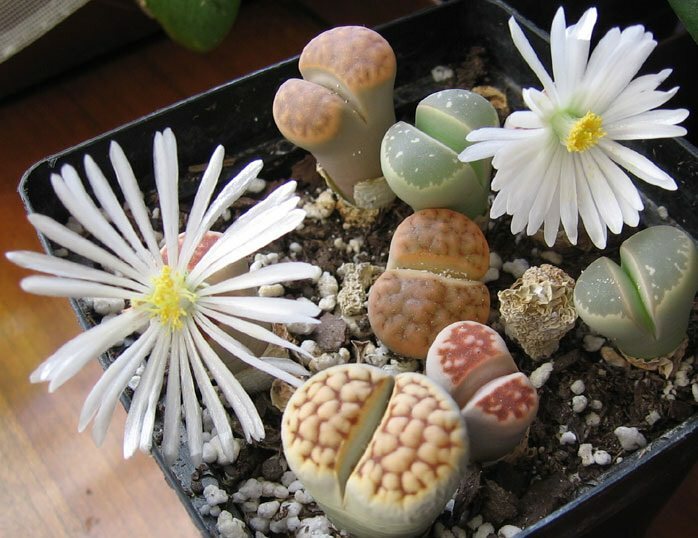 The genus Lithops consist of forty species extending from the Namibian desert in the West to Northeast of the South Africa through the desert or semi-desert region of the western half of South Africa. This perennial succulent belongs to the family of Aizoaceae and is found from the sea level up to 1500 m altitude on the mountains or on the central highlands. The pebble plant colonizes on any sandy or gravelly terrain consisting of sand, granite or slate and debris. It also grows in the cracks of the steep sandstone or basalt blocks more or less rich in iron, even some species also thrive in limestone or highly saline soils. Plants of this species are characterized by grayish or slightly brown like, variously mottled upper part. The flowers appear in early summer and are bright yellow in color. Among the different species, Lithops Lesliei is the best known and popular as a houseplant due to the reason that it is easiest to grow and tolerates slight mistakes in watering. The Lithops Aucampiae is a large species reaching 4 cm of height and width. The leaves are the purplish-brown and flowers are yellow gold. It blooms from late summer to mid-fall. The Lithops Optica is among the most recognizable species as the leaves are deeply cut in the dark gray-green color. The flowers are white in color and bloom in autumn. Its most popular variety is rubra L. optica. Growing Lithops is possible from seeds and cuttings. Seeds are best sown in summer in temperate regions or when the weather is warm enough. In tropics, you can start seeds anytime except summer. To protect the seeds from dryness they are covered with a thin layer of sand. Until the germination, substrate must be kept slightly damp and a container is covered with foil. Seeds germinate within a few days. Young seedlings should remain in the same container as long as possible. For proper development, they need a lot of light. After a few months, you can transplant them into the pots. Lithops grown from seeds get the ability to flower after about three years. The lithops is grown in pots, outdoors or indoors both in a sunny location and in dappled shade. In a cold climate, it is kept indoors in winter. *The pebble plants with light colors, gray to beige, require less amount of sunlight than those of darker tones like brown or dark green. Lithops have a larger root system than the rest of the plant that grow above the surface. Generally, you do not need overly large pots. A pot that is 8-12 cm deep is enough. You can grow it in a plastic or clay pot. Use the plastic pot as long as you have the foresight to water properly. This is because the clay pot improves air circulation and loses moisture quickly unlike plastic that is waterproof. Keep the plant on a location facing South or West, where it’ll receive a lot of exposure to the sun. The position can be airy, but remember, these plants don’t like cold drafts. 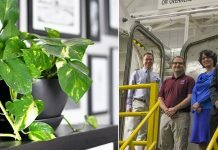 In tropics keep the plant in a spot that receives filtered sunlight most of the day. 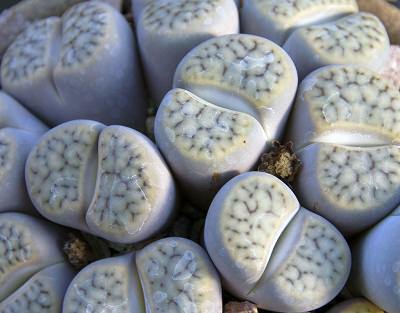 Lithops likes a very well drained soil that is poor in organic matter. Permeable substrate should be provided with the addition of gravel and sand. You can also use the potting mix available for cacti and succulents with an addition of 20% more sand or perlite. On the surface of the soil in the pot, you can put small pebbles or gravel to get an additional decorative effect. Lithops should be watered deeply but irregularly. In temperate climates, it blooms in fall (autumn) and at this time, it must be watered two-three times deeply in a month until the end of fall. In the remaining months, Lithops require a period of dormancy. During that time, Lithops care is needed. It must not be watered in that period but remember that soil must not become bone dried. For this, you can lightly spray the leaves with water, time to time in this period. 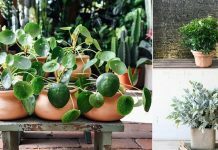 You can resume watering once the plant sets the first couple of young leaves, which usually occurs in summer in temperate regions and in winter in tropics. Repotting should be done in every three years or so using a substrate without fertilizer. Don’t fertilize the pebbles plant. Fertilizing it weakens its tissues and makes it susceptible to rot. Lithops care in winter is important. Once the blooming period ends Lithops should be given a period of rest (usually from late November until March, *in temperate zones). During this period of time, it must not be watered. However, you can spray the plant time to time. Maintain the temperature constant at the level of 50 – 60 F (10 to 15 C). Living stones plant does not need to be pruned. You only need to eliminate the leaves that dry out to avoid fungal diseases. Lithops care from pests is not much required as it rarely get attacked by them. Even so, sometimes it gets infested by mealybugs. Lithops is susceptible to rot. It happens due to several reasons like overwatering or waterlogged or nondraining soil. I have purchased Lithops on line from Oz Lithops. them a first water since 8 weeks (looking crinkly). bag. North facing near window with indirect light. be less watered? Thank You. Kind Regards, Glenn. After they make their first set of leaves. Cut the watering and moisture immediately. I have a new lithops that I just got I October 2018. In December I moved and during the transition the little guy got damaged. There were two tiny nicks of flesh taken out of the side. I wasn’t sure what to do so didn’t do anything. I thought it might repair itself but it just kept getting worse. Now I dont think it can be saved. The nick has grown to a gaping hole and it looks like it may have some bacteria or something growing and some rot😢. Is there anything I can do to save it?